A Taste of RootsTech 2018 - who is nicka smith? Hey there! We are just back from RootsTech 2018 which took place from February 28 to March 3, 2018 at the Salt Palace in Salt Lake City. This is the second year that I’ve presented at the conference but it’s the first year that BlackProGen LIVE and the Midwest African American Genealogy Institute (MAAGI) had an official presence there on the expo hall floor. Want Live Streams? I Did Them! If you follow me on Facebook, you may have caught a couple of Facebook Live sessions that I did as I took a stroll around the conference. You can view those below or you click here for the first one and click here for the second one. Some of our sessions were so packed that the room monitors opened the back doors to the rooms and set up chairs in the hallway to allow attendees the opportunity to attend. We also were interviewed by local press. Bernice was interviewed by the Salt Lake Tribune and I was interviewed by the Deseret News. But, Where’s the Latest Episode of the Show? This time, we decided to do something completely different for episode 53 of BlackProGen LIVE. Instead of our usual conference wrap up, we opted for an episode where we came together to create it through the use of video, live streams, and more. We’ve received some amazing feedback so far on it, so be sure to view it, comment, and share your thoughts below or on YouTube! The next episode, which will be in our usual format, has been rescheduled from March 13 to March 20. 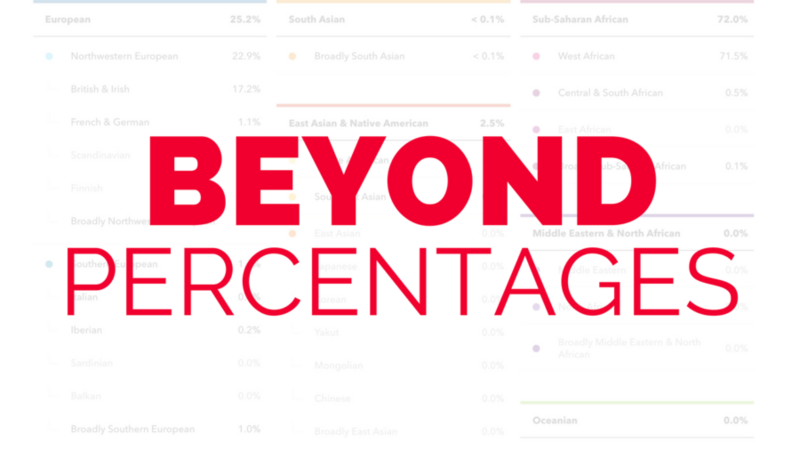 Be sure to set your reminder for “Beyond Percentages: Doing More With Your DNA Test Results” which will air live on Tuesday, March 20, 2018 at 6pm PST/8pm CST/9pm EST. 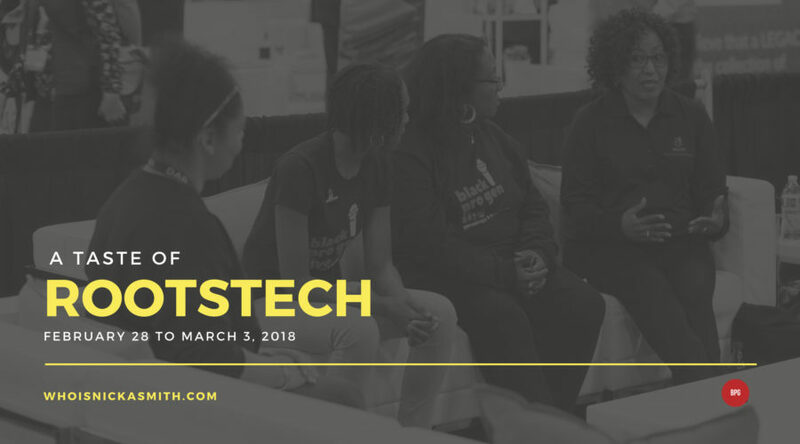 Were you at RootsTech? What was your experience? Have you never gone but you’re interested in going? Sound off below!